Did you know that the temperature inside your car can go up to 145 degree Fahrenheit and the exterior temperature can go up to even 200 degree Fahrenheit when left under sun for longer period of time. And cars are not designed heatproof. Whether it is a new or used car, both needs care and protection against sun and heat. And it is not just the exterior and the interior of your car which gets affected but even the engine and battery can suffer due to rising levels of heat while Mr. Sun becomes hyperactive. So, you see it is not only our skin but also our cars which need protection from the heat and harmful UV rays in the summer. And since we care for our cars just like we care for ourselves, it makes complete sense to prepare ahead for the scorching heat of summer. So, today in this post, we will be talking about some practical ways to protect your car during summers. So, let’s begin with the tips for the exterior of the car. With increasing heat, the exterior of your car is the first thing to be hit. During summers, ultra-violet rays are at its strongest. Prolonged exposure to UV rays can oxidize the exterior coating of your car or even cause the color to change or fade. It can also cause the exterior coating to become brittle and change its shape. 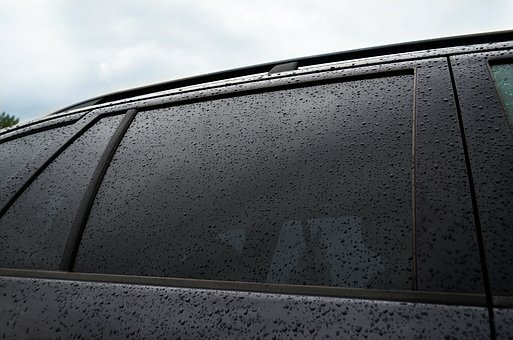 Forget all your worries because with these free to cheap tips, you can easily protect your car’s exterior. Yeah, we know this one is common sense but you know what?? Sometimes we are lazy to find a shady place for parking their vehicles. 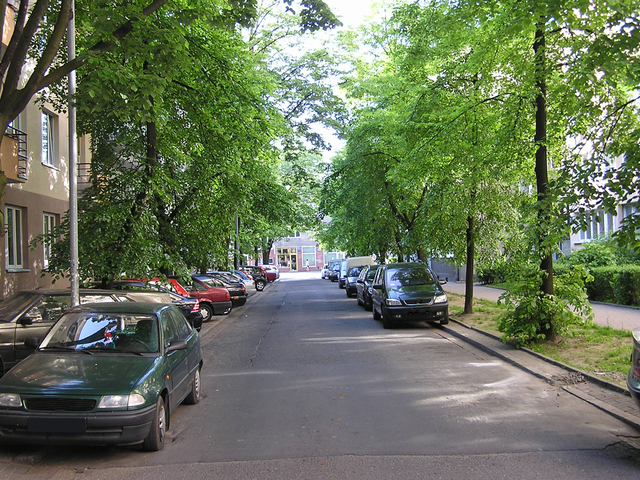 People tend to often leave their car parked under the sun especially when they are short of time. So, for the sake of love of cars we just wanted to request you to remember this tip. Please take out an extra of 2-5 min and do your best to find a shade when parking your car somewhere. This way your car can stay cooler by up to 20 degrees and the physical barrier will help to block the UV rays by 100%. Washing your car frequently helps to get rid of debris, minerals and even dead bugs which get stuck on the external surface of your car. If not maintained frequently, these minerals and dead bugs could react with high heat from sun and cause fading of paint here and there. Also, the bugs undergo bacterial decomposition releasing some acids which could further damage the surface of the car. It is best to wash your car with a car shampoo than your regular laundry detergent as they are especially formulated for a car’s surface. Wash your car often and then hand-dry it with a soft microfiber cloth to get rid of all the remaining grime. Waxing your car is like pampering your car with some sunscreen against the high ultraviolet rays during summers. It not only helps to lock in the natural oils with the paint but also gives added protection from harmful effects of sun. You should wax your car at least twice a year to maintain your car’s exterior. A paint protection film is one of the best investments for your car’s exterior. 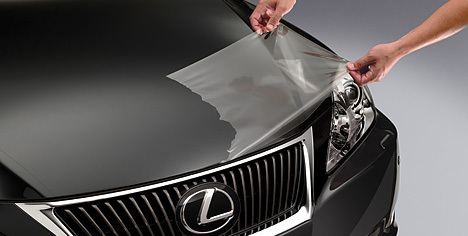 It is an invisible film which acts like a shield for your car.It’s like an extra dose of sunscreen for your car. You generally get paint protection film kits in the market for acrylic headlights but you can also get one for the entire vehicle. It’ll help to maintain the external surface of your car for an extended period of time. It helps down the road costs. 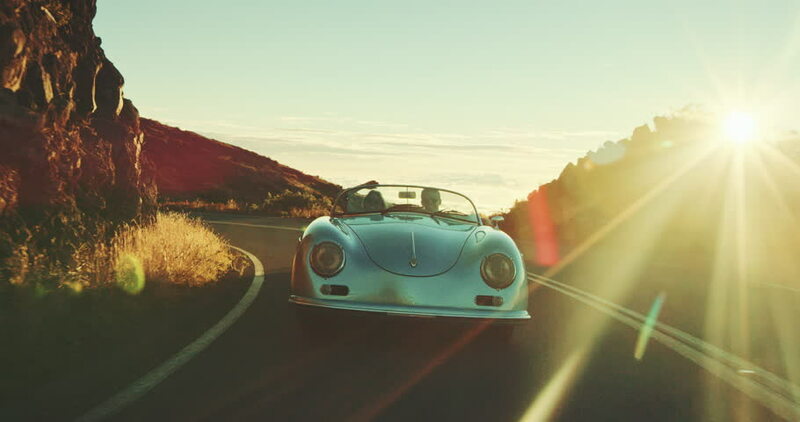 With this film, your car’s skin ages slower and the value of your car extends for a longer period of time. Additionally, it also protects your car from minor scratches, small dents and dust and grime. During summers, tires are more likely to blow out due to increased heat and temperature. Continuously driving your car can make its tires under-inflated and when the under-inflated tires come in contact with hot roads, they get blown out much easily. It is best to have your tires checked before summer arrives and then follow-up with regular monthly checkups throughout the hot season. This will help you prevent sudden mishaps and accidents. Also, you can save the money on a new tire in case your tire blows out. It’s equally important to protect your car’s interior as it is to protect the exterior. High temperature can ruin your upholstery and car components such as dashboard and the steering wheel. A windshield protector is one of the best ways to protect the front interior of your car from high heat and sun rays. Your car’s dashboard and steering wheel are exposed to direct sunlight when parked under the sun. This can cause the dashboard and steering wheel to suffer. They could even crack due to heat and lose their shine. Using a windshield shade can help you cut that sunlight and rays drastically and give a good protection to your car’s front exterior. There are also rear windshield shades available which you may consider to protect the rear interior of your car. You can easily get it from eBay for just $2.24. There are these pocket-friendly window shades available which you can easily place on your car’s windows to cut most of the sun rays coming through windows. They help reduce a lot of heat inside the car. These are very easy to use apart from being pocket- friendly. You can get a 2-piece packfrom Amazon for around $20. Another best part about these window shades is that it can also be used while driving unlike the windshield protector. There are also rear sunshades available if you want to use for the rear of your car. But it’s not a good idea to use this shade for rear while driving as you need to look into your car mirror while driving. Many people are curious if tinting windows could help reduce the heat. The short and simple answer from the experts is YES. Window tints block the thermal rays which let sunlight pass heat. So, by blocking certain wavelengths, window tint block heat but let pass natural light. It can block up to 70% of heat from entering your car’s interior. However, you need to check your local law on the percentage of tinting you can get done on your car’s window. 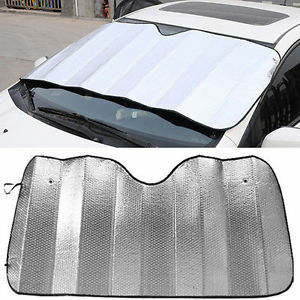 It is one of the funniest things which people use for protecting their cars against heat and sunlight. You must have laughed at someone using them. But they are quite effective for protecting your car against sunlight and heat though they are kind of an investment. However, it pays off really well in the long run due to the kind of protection they provide. If you want the same protection without being laughed at then you can go for the funky reflectorized sun panels available these days in the market. Just as your car’s exterior needs regular cleaning, so does the interior needs. With summer on its rise, the heat could even cook an egg on the sidewalk. The same could also happen with the dust and debris in your car and it will take forever to clean up. 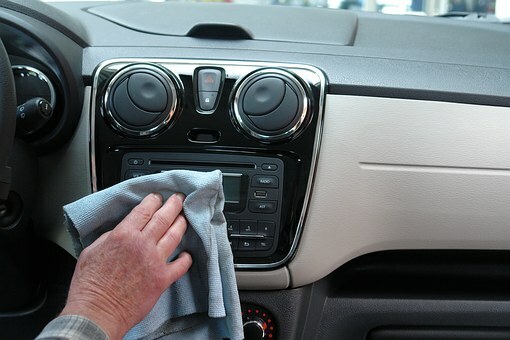 Make sure to clean your car’s interior regularly to maintain it in proper condition. And always use the automotive detergent or soap for the purpose because your household detergent could damage the upholstery resulting in cracks and loss of shine. There are many car interior cleaners available in the market for you to choose from. Your dashboard is one of the most important components of your car’s interior. Dust and debris could cause tiny scratches if not cleaned regularly. And heat could cause dryness and cracking. Clean it regularly by wiping with a microfiber cloth to get rid of dust and grime. You can also polish it using a dash polish to maintain its gloss which gets affected by exposure to sun. Along with that, you can even use dash covers for extra protection against heat and sun rays. 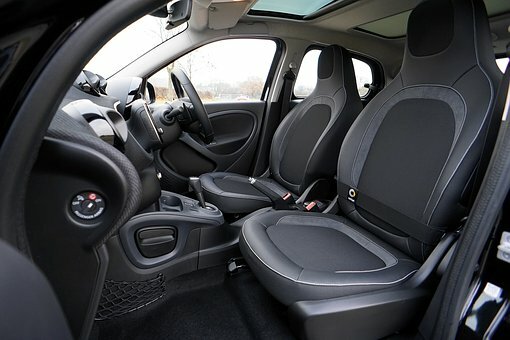 Seat covers offer various benefits for your car seats. They help to keep your seats clean by protecting it from stains. They also help to protect them against wear and tear. But most importantly, they help improve driving experience by keeping the seats cool in summer (and even warm in winter). You could also use a conditioner to protect your car seats if they are made of leather. Leather seats tend to get cracks and tears due to exposure to sun. Conditioning your leather seats regularly will help to maintain it in good condition. You can even buy these conditioners online from sellers like Chemical Guys for Just $19.99. We know it’s foolish to leave your car windows fully open. But you can leave it open just a tiny crack so that fresh air gets circulated inside. This will help to reduce the internal temperature of the car and thus the heat on your upholstery and dash. 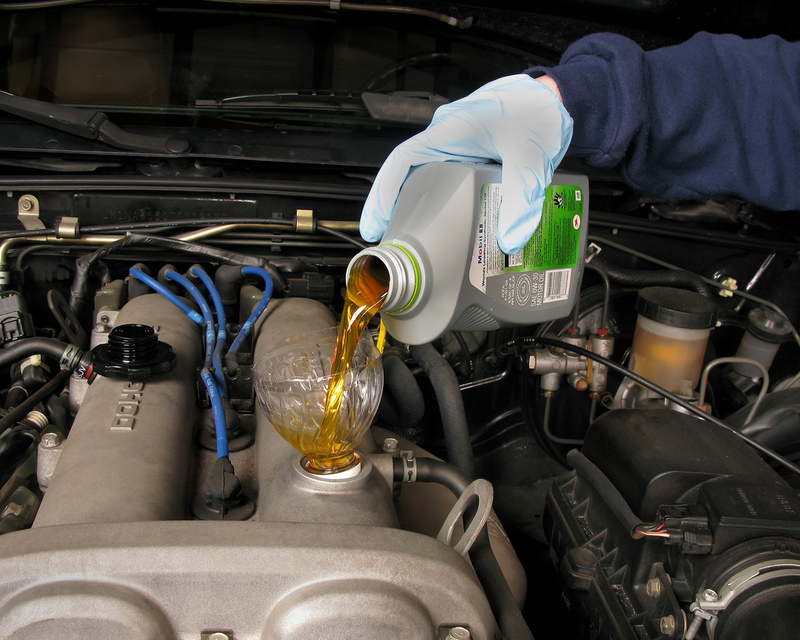 During hot weather, the fluids in your cars get used up more quickly than it generally does during a milder weather. 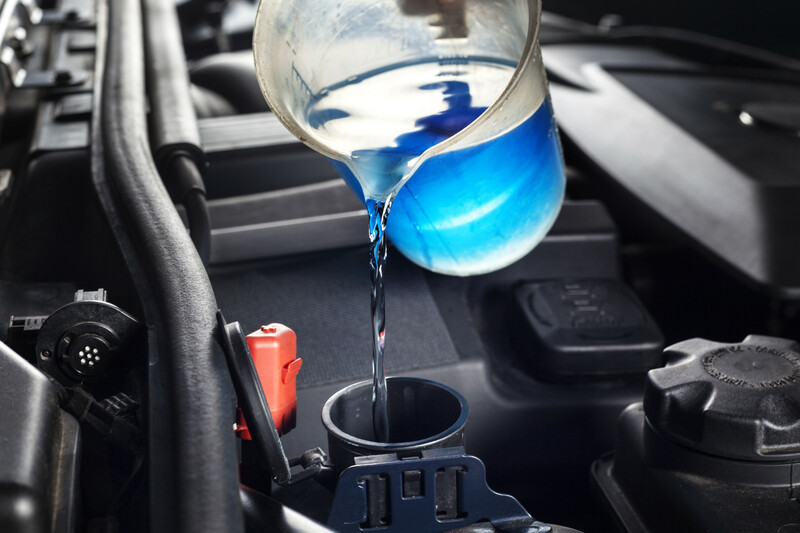 If you haven’t recently checked and refilled transmission fluid, steering wheel oil or motor oil, do take out the time to get it done because a low level could damage your car (especially during summers) and bring up sudden down the road costs. Car engines can perform pretty well at high temperatures but if starts getting overheated it could cause serious problem to the engine and its metal parts. They could even melt and then fuse together causing severe internal problems and of course a hefty repair. Modern cars have inbuilt cooling system which does a good job of keeping your car running at an optimal temperature. But the summer could take a toll on the cooling systems ton especially if the coolant level is low or the fan belt is busted. So, get them checked before summer begins and get coolant added or fan belt repaired if needed. If you find that the car’s AC is not keeping cool enough then get it checked with the authorized center for your car’s AC. 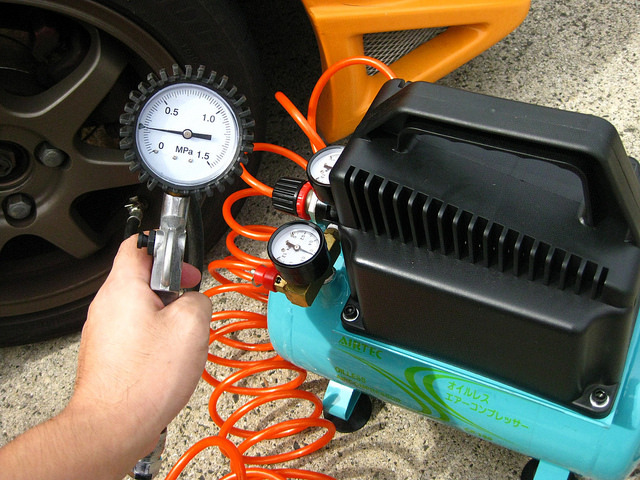 It could be an issue with the refrigerant charge level or even an issue with the compressor. Or it could simply be an issue of low gas levels and your Car’s Ac just needs some re-gassing. Get a check done to find the reason and fix it before it stops working completely. A proper functioning AC is important to keep you comfortable while driving and thus avoid mishaps due to lack of alertness while driving. 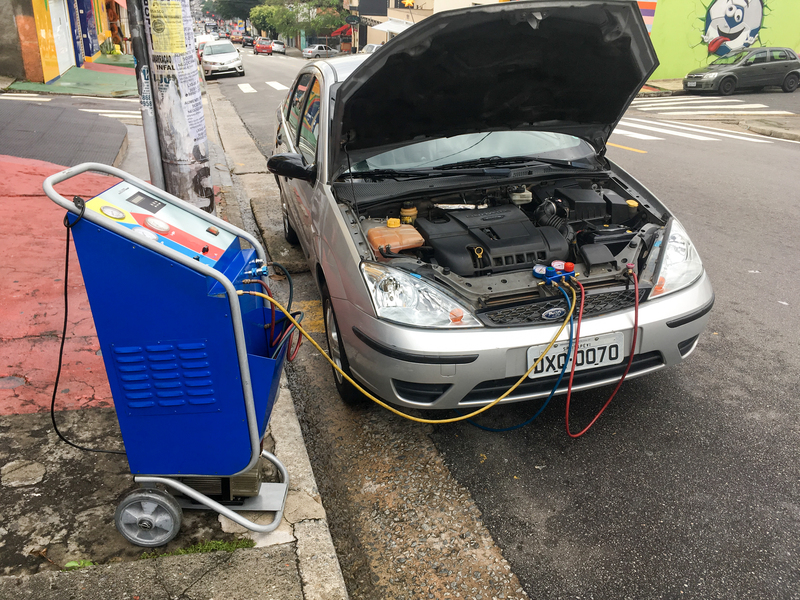 Car owners worry most about their car battery during winters but the fact is that batteries also experience considerable pressure during summers due to overheating and overcharging. In fact, the failure of the battery in the winter could be a result of the damage that took place in summer. 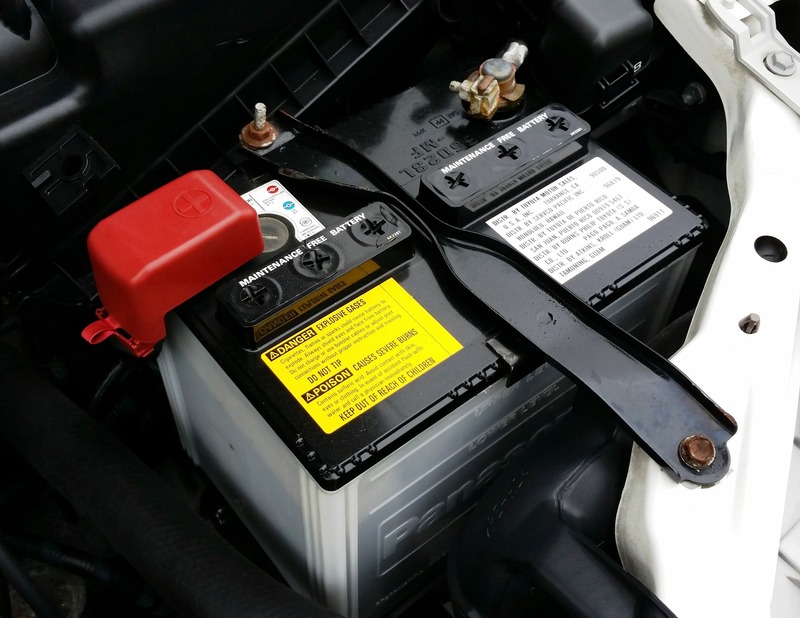 Get your battery checked with every oil change and pay attention especially in summer. With the increased heat during summer, the dirt and debris in the environment also increases particularly in more arid regions. 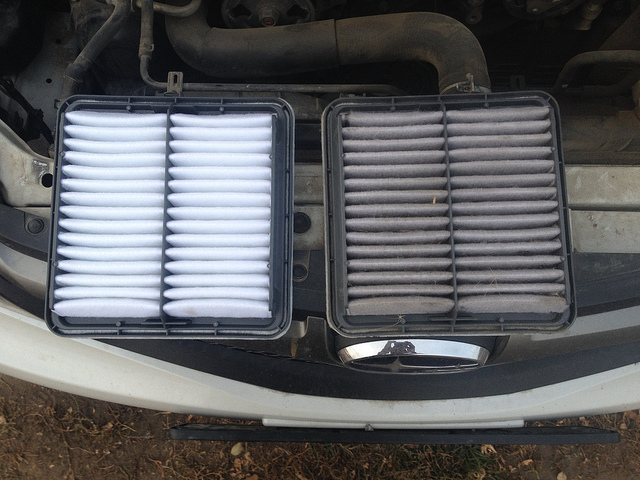 Many car owners neglect a dirty air filter. But a clean air filter is very important for the engine to function properly because accumulated dirt and debris rub on the metal parts of the engine causing them to wear away and may even have to be replaced. It also affects your fuel’s mileage because engines need a proper ratio of air and fuel to perform properly. And with more dirt in the filter, your fuel’s consumption will suffer. So, please make sure to check and change your air filter if needed before summer starts. Getting an air filter changed will cost you much lesser than getting an engine part replaced. How about trying something innovative and latest in the market?? We recently came across a new product in the market for protection against sun. It’s a Car Umbrella. Yeah it works just like an umbrella. 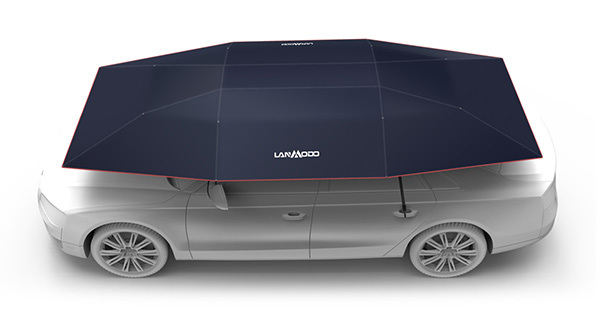 It is an innovative product from Lanmodo which gives over the body protection from sun like an umbrella. It comes in both automatic and semi-automatic function. It’s quite easy to get and Amazon has quite good reviews on this product. If you wish you could give it a try for a full protection. And please note that we are not paid to promote this product. We just mentioned this product here in the hope that anyone of our lovely readers could find it useful. Those were our 20 practical tips to protect your car from heat and sun during summers. Do implement these tips this summer to prevent and protect your car from damage by heat and sun. The tips mentioned in the post are all practical ways which you can implement right back. Some of the methods require use of products but most of them are quite pocket-friendly. You wouldn’t like a hefty repair bill. So, it’s always better to spend a little on prevention and maintenance. Please share your thoughts and opinions in the comment section below.